A few things I feel should be applied. The classic Lego Pirates monkey should be classified as a minifig. Just the monkey. Just saying. Also, some Lego Dimensions fun pack extras could be considered minifigs (i.e. flying monkey). Star Wars droids, no matter the build, are classified as minifigs, so, I feel there should be more exceptions made! 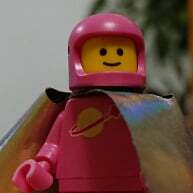 You need to petition bricklink for this, all the minifigure data on brickset is pulled from bricklink. Personally I tend to count brick build characters as minifigures too, like Groot from #76020 but I do get people preferring to keep some kind of standard definition - however bricklink can be massively inconsistent in what is counted as a minifig, I think this is mainly down to be user driven data. It is not user driven data, inconsistencies are down to different catmins following their own views.